SACRAMENTO, Calif. – The Sacramento Kings today announced the use of the Gimbal™ mobile engagement platform from Qualcomm Retail Solutions, Inc., a subsidiary of Qualcomm Incorporated, to further enhance the fan experience via offers and communications to fans based on location and activity.Through the Sacramento Kings App, fans will receive highly relevant offers and communications delivered to their iPhone using Gimbal proximity beacons with Apple’s iBeacon technology. Gimbal beacons will be positioned throughout the arena delivering a whole new level of micro-awareness for fans. The Kings and Qualcomm Retail Solutions are working closely together with TIBCO, the Kings’ loyalty platform developer, on the Gimbal implementation. Proximity beacons have already been installed throughout the Sleep Train Arena and fans with the Sacramento Kings iPhone App receive special offers at the Kings store and have been given the opportunity to meet members of the team based on proximity. 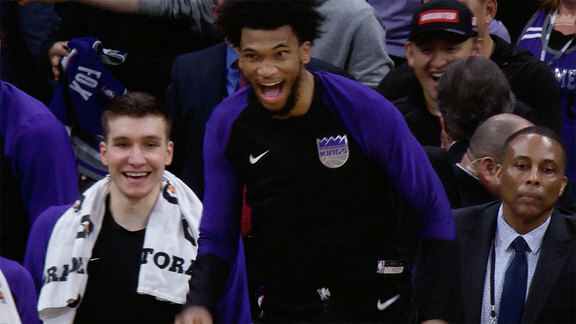 Future plans include special concession offers during games, ticket deals and special offers from Kings’ partners when fans are out and about in the Sacramento area. The Sacramento Kings App is available for free from the App Store for iPhone, iPad and iPod touch or via the following: http://bit.ly/KingsAppAS.